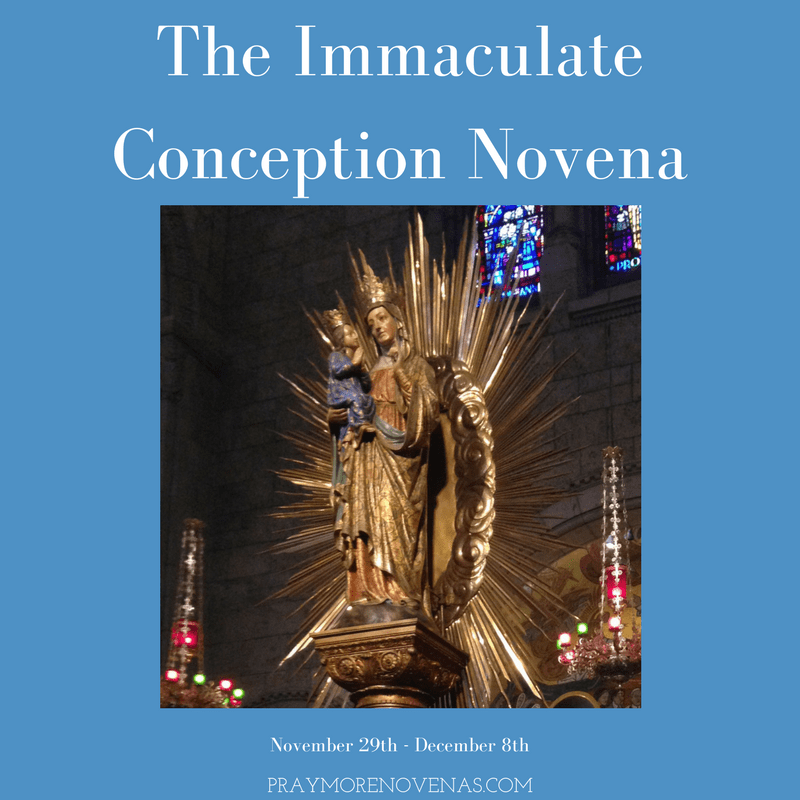 Here’s the Final Prayer of The Immaculate Conception Novena! please make me calm like mother Mary without any anxiety tension and ill thoughts..
Bless us with a baby like baby Jesus and let us live our life like Holy family. Blessed Mother, pray that I get a new job soon to support my family. In Jesus’ name. Mother Mary and Beloved Son, Jesus, please hear my prayers for healing for my family and I. Please heal us of anxiety, depression, heart disease, fibromyalgia, TMJ, diabetes, asthma, allergies, sciatica and backache. Thank you Blessed Mother and Sweet Jesus. BLESSED MOTHER IN JESUS NAME PLEASE HELP JONATHAN H TO PAYOFF THE BALANCE AND HELP CLOSE THE WORK FOR GOOD. PLEASE WE NEED FINANCIAL HELP AND MORE ANGELS TO HELP US. PLEASE ASK AND PRAY FOR JESUS CHRISTS PRECIOUS BLOOD TO COVER US ALL(ANGIE, CHRISTOPHER, JONATHAN H AND RIMPY) 24/7 SO THEY ARE PROTECTED FROM ALL EVIL, HARM, DANGER AND NEVER HAVE ANY MEMORY LOSS AS THEY NEED A MIRACLE. PLEASE UNITE AND REUNITE THEM TO EACH OTHER AND HELP JONATHAN H TO ASK RIMPY OUT SO THEY BECOME INSEPARABLE FOR LIFE AS AN ETERNALLY LOVING AND FAITHFUL COUPLE. PLEASE HELP THEM IMMEDIATELY. HAVE MERCY ON THEM. WE LOVE AND TRUST YOU. THANK YOU, AMEN! Please continue to help your children from the trials we face every day. Thank John -Paul and Annie for this novena. Parents, continue to pray your Rosary for your children. Dear Blessed Mother and our Savior Jesus, please heal my family and I of heart disease, fibromyalgia, TMJ, anxiety, depression, diabetes, allergies, asthma and sciata. Thank you Mary and Jesus. Lord help save our organisation from nl ,c.f.,vc,ab,jf. Lord I pray that you remove these external influences from the organization. Lord they are evil and they are trying to destroy the organization. Open the eyes of the director..Lord the pit that they are digging for me Lord let them drown in it,Please Jesus remove those evil influences open the eyes of the director. Give favour with the director. Lord u give my whole life to the organization. Lord Jesus I place my financial needs into your hands..Lord I pray for financial deliverance today. I pray for the intercession of the blessed virgin Mary.